Louis Malesherbes Goldsborough was a rear admiral in the United States Navy during the American Civil War. 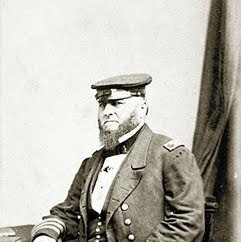 He held several sea commands during the Civil War, including that of the North Atlantic Blockading Squadron. He was also noted for contributions to nautical scientific research. His younger brother, John R. Goldsborough, was also a U.S. Navy officer who served during the Civil War and who later became a commodore.